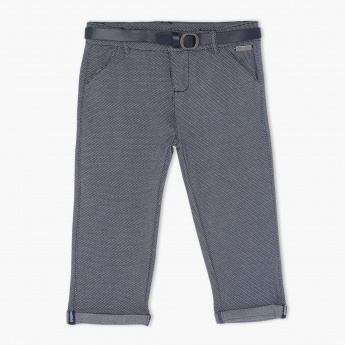 Make a versatile addition to your boy's wardrobe with this pair of pants. It comes in a neutral shade that is easy to match with various tops. 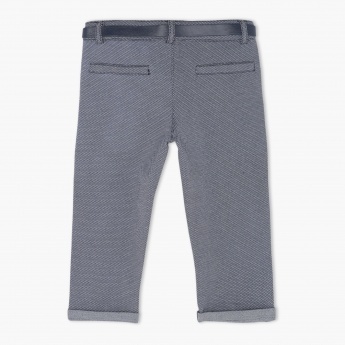 The woven zigzag pattern all over lends it a stylish look.